Technically, this isn't a Christmas book, although it does reference the baby Jesus's birth. Even so, it is one of my favorite children's books ever. 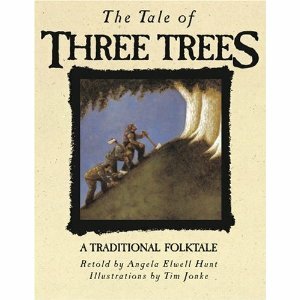 It tells of the desires of three trees and how those hopes are met in ways they didn't expect. All of them reference the Savior's life and it's beautiful and touching. It's hard to read without getting a little choked up. If you can only buy one book this Christmas and you don't yet own this one, this w0uld be my recommendation. 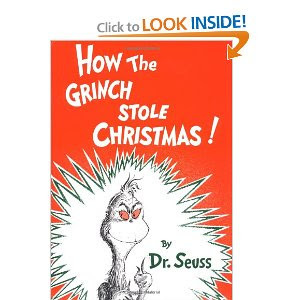 Sure, you can get your Dr. Seuss Christmas fix by watching the half-hour special or the full-length Jim Carrey movie. I enjoy those, too (especially the animated one). But there is something so fun about reading Dr. Seuss to your kids that I think it should be required of a parent. No one is as skilled at rhythm and rhyme as Dr. Seuss. He's a genius. So go ahead and watch the special, but don't forget to read the book! I had trouble choosing which Robert Sabuda book to share. I chose this one because I think it offers the most bang for your buck and these books aren't cheap. They're an investment. A beautiful, jaw-dropping investment. You could also get The 12 Days of Christmas or The Night Before Christmas. They're beautiful, as well. These are heirloom books that require a little care, but they are stunning and any age will enjoy these pop-ups. They are works of art! 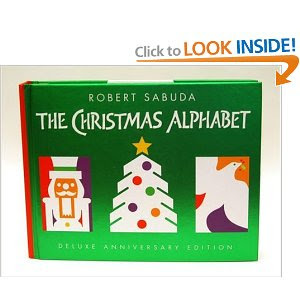 This is a sweet book with lovely illustrations that teaches the joy of sharing during Christmas. 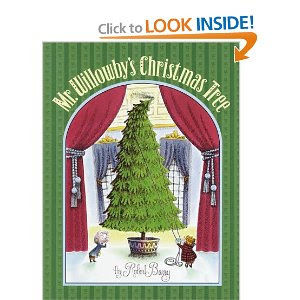 Mr. Willowby, the millionaire, buys the largest and most impressive tree imaginable, but when he finds it's too tall, he shares it with someone else, who then shares it again and so on. It's a wonderful story about sharing the spirit of Christmas. Be sure to take some time this Christmas to share a book. Have you ever read "Christmas Day in the Morning?" by Pearl Buck? I haven't but have heard it awesome.